And so it begins. Nollop, a tiny island-nation off the coast of the United States, holds its founder, Nevin Nollop, in the highest regard. His greatest achievement is having come up with the pangram “The quick brown fox jumps over the lazy dog”. And what, you may be wondering, is a pangram? It’s a sentence that uses all the letters of the alphabet. Repetitions are allowed, but the fewer there are, the more impressive it’ll be. In the centre of Nollop stands a statue of its founder with the pangram he created written in tiles right beneath it. As the excerpt I shared tells you, when the tiles begin to fall, the island’s High Council interprets it as a message from the venerable Nevin – surely he must want the fallen letters banned from the islander's vocabularies. 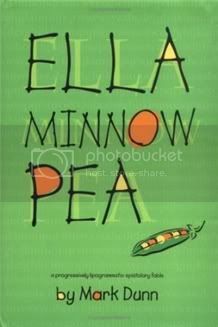 In addition to being a dystopia, Ella Minnow Pea is an epistolary novel. The story is told in letters between Ella and several of her friends and family. Because Nollop is a totalitarian state, the mail is controlled. What this means is that as the fallen letters are banned, Ella and her correspondents are no longer allowed to use them, and so they disappear from the novel itself. The fact that we get to watch the characters come up alternative ways to express themselves, with ways to overcome the increasingly tight limits that are put on their means of communication and self-expression, is one of the main reasons why Ella Minnow Pea such a wonderful read. However, if this book were merely an exercise in linguistic acrobatics, it might be satisfying for language nerds such as myself, but not much else. But fortunately, there’s much, much more to love here. The themes Ella Minnow Pea deals with – censorship, freedom, totalitarianism – are not exactly new, but they’re presented in such an original way that it feels new. Besides, the truth is that we’ll probably never run out of things to say about totalitarianism or censorship—not while they continue to affect people’s lives. The way in which the High Council of Nollop tries to use language to control its citizens reminded me a little of Orwell’s 1984 and its newspeak. Of course, in many ways it’s completely different, because the aim of newspeak was to make certain thoughts unthinkable by stripping the language bare. The High Council can control communication, but not people’s private thoughts. In their heads, the characters surely continue to use the forbidden letters freely. Still, this tight control of communication is enough to fill Ella Minnow Pea with a pervasive sense of claustrophobia; one that greatly increases as the story advances and more and more letters are banned. Ella’s final letters are filled with a despair that is all the more raw because it cannot be articulated – and this makes them quite frightening to read. They shut the library down today. By day’s end workmen had it totally boarded up. I spent much of the afternoon helping Rachalle box up items to transfer to the supply cabinets of Mother’s school. Her second graders wore such heart-tugging looks of confusion when the principal confiscated all the textbooks. Mother spent much of the school day in halt and stammer lest she speak the proscribed letter and find herself brought up on charges. It makes teaching so difficult, she tells me—having to spell out each word in her head before speaking it, to prevent accidental usage, while attempting to deliver a lesson without benefit of any textbook whatsoever! Robbed of two letters, I now chooooose to overuuuse the twenty-four which remaaaaaain. I hope you and Amos are well. I haven’t been feeeeeeling myself lately. Tassie worrrrrrrrries about me. She shouldn’t. I will bounce back as I always do do do do do do do do do. As I was reading Ella Minnow Pea, I kept thinking that it’s pretty much impossible to translate. I’m sure the same concept could be used to basically create a similar novel in another language, but it would take a writer just as inventive as Mark Dunn. And plus the final result couldn't, by definition, be the same book. Can you think of any other novels that you find untranslatable? What are they, and why? Epistolary and Dystopian are two of my favourite things; I know that I am going to love this book. I didn't steal a copy ... I was saved by Jackie (Farmlanebooks) who offered to loan me the copy she's just bought. Phew, I do not need to resort to a life of crime (just yet) to acquire a book that I must read. You have stumped me with the untranslatable question... I know that there must be other examples, especially of novels that play with language, but I can't think what. I'll be interested in reading the suggestions. You expressed my feelings about this book better than I could! My review hasn't posted yet, but I did write it as I recently read this too. Unfortunately I can't think of any other books quite like it, which is part of the reason I enjoyed it so much. I know there must be some but I haven't read them yet. This sounds like such a great book. Thank you for reminding me that I want to read it! And what an interesting thought about it being untranslatable...I'm sure that thought never would have entered my mind and yet it is so obviously true. Sorry, looks like the link got cut off-try this one. Untranslatable it is, and yet I read it in translation, and what a wonderful read it was! I cannot compare the two, because I still have to read the original, but this is the one book I wish I could read in all its different versions. The Italian translation is a piece of art, and maybe that's the sole reason I happened onto this book in the first place :) But it's true that there's much more to it than language. I am with Paperback Reader above. Epistolary and dystopian are my two most favourite things too. I cannot imagine how we would cope if we banished certain letters of the alphabet and made it crime to use them. I felt sorry for Ella's mum, when she had to spell out each word in her head before she said them aloud. I have just worked out what the title stands for. LMNOP!How fantastic! Every time I see this title, I tell myself MUST READ! I just haven't yet found it in my hands. I will, though. Someday. That book sounds fascinating and you're right - I think it would be impossible to translate. That would never have occurred to me. I was going to agree that this is untranslatable and then I saw Scribacchina's comment that she read it in translation! Amazing. I would have to say that something is also lost in translation. It makes me sad that I only know English! I love this book - I should re-read it at some point soon, since it's quick and short enough to hold my attention! I never thought about the translation problems, but you're totally right... I hope they paid the translators double or triple the going rate, since they really do have to re-work the entire book. This is one of my all-time favorite books. I love it! Glad to hear you enjoyed it. I read this book ages ago and liked it, but didn't love it. I think my favorite part was how creative Dunn was in terms of writing with an increasingly small alphabet! That really impressed me, but the story did less for me. I had never considered how difficult/impossible it might be to translate this one, but I think you are right! It just wouldn't work! I've had this on my wishlist for YEARS. I'm glad you enjoyed it! I look forward to (eventually) reading it, too. I often think a lot of books are untranslatable, but then that isn't giving much credit to the translators, is it? It looks like someone above read and loved this book in translation so I guess it was a success! Though perhaps not quite the same book. I would agree with Jason that books that employ a lot of wordplay would be hard to translate. But I think it can be done. This sounds great. I'm getting to love all of these dystopian novels, even as I shudder at the pessimism behind their proliferation! On the Road. Any William Carlos Williams poetry. They'd be more like a re-write: a whole new book. I often think about this when I read a super-critically-acclaimed book translated into English from a language I don't know. If I find them lackluster, I just assume its the fault of the language difference. There's almost this kind of ghost-image of what the book might have been if the word-choices were intensifying instead of fogging the concepts. For some reason I've never read a German book that I enjoyed in translation. Other languages seem to have a better track record. This book sounds like one I would enjoy and feel passionate about. I definitely went off on a tangent after reading Fahrenheit 451 and I think this would evoke the same kind of feeling within me. I had heard of this book, and knew what it was about, but your review was outstanding! I had put the book on my radar, but had not made a solid plan to read it, and now all that has changed. I am going to try to get to this book as soon as I can, and it will be one of my next purchases. Thank you so much Nymeth, for showcasing this very unique book. I know I will love it as well. Also, I think that Jasper Fforde's Thursday Next series would be really hard to translate. I can't imagine the jokes working well in any other launguage! You always find the most interesting and unique books to read! If I ever see this one anywhere, I'll be sure to take a closer look. Oh no! I think you just added to my TBR list! I try hard to not make it too big, but this book sounds too good to pass up! Thanks for the review! Amanda got me interested in this one, but your description has pushed me over the edge to have to find it! I checked this one out last year and never got around to reading it!! Looks like I'm going to have to check it out again! This sounds really interesting! The wordplay alone would be enough to hook me. Glad you liked it! I thought Mark Dunn did such an amazing job with it, and it made me want to read his other book, Ibid, which is a book in footnotes. Someone stole my library's copy of it. FROWN. I love this book and recommend it every chance I get. One of the local high school actually picked it up a few semesters back, unfortunately it was just for the one semester. This book was so much fun to read; I thought it was clever and funny but also talked about some important things. I agree, the library closing was horrifying. Meghan: I look forward to your review! Dreamybee: Thank you so much for the link! I've bookmarked it to listen this evening. Vivienne: I know - I can't even imagine it. I think you'll enjoy this a lot. And wow - thank you for pointing that out about the title! I'd missed it completely. Jason: The funny thing is, I HAVE seen Portuguese editions of Finnegan's Wake. I should open one one of these days...I can't even imagine how it was done. And yeah, anything that involves dialect is hugely complicated to translate. Mathie was telling me about a Brazilian novel (I'm not sure what the translated title is, but it's by Guimarães Rosa) where this is the case. It's considered one of the masterpieces of Brazilian literature because of its creative use of dialect, yet English translations were never very successful, because you just can't do it justice in another language. Kathy: Apparently it has been done, though! I'm in awe of the translator(s). Rebecca: Isn't it amazing? I wish I knew more languages too - especially really different ones, like Japanese. I wonder what Murakami is like in the original. Fyrefly: I do hope they paid them triple! Especially as translator rates tend to be shamefully low. Steph: I liked the story, but my one complaint was that it wasn't more developed. I understand why the book was so short, though, because how many more letters could be possibly lose? Aarti: Sorry; you're right that I'm not giving translators much credit. The thing is, I've had horrible experiences with translations - up to a certain age I'd only read books in translations, and most were hasty, lazy, and embarrassingly weak - so much so that even my teenage self spotted the many and very obvious mistakes. Things are a bit better these days, but because translators are still not paid as much as they should be, they have to work fast, which leads to careless work. And this also means that the more capable people tend to drift off to other language-related professions eventually. So while I know that all literary translations involve creativity, and that a talented writer could do a great job of recreating the book in another language, I can't imagine someone wanting to do it if they had to work with the tight deadlines my boyfriend has to work with, for example. Trapunto: You're right about Kerouac - I read part of Big Sur in translation and it just didn't feel like him at all. Kathleen: That's a really good comparison, actually! Zibilee: It's the same with Terry Pratchett's humour - it just doesn't translate well. (I really need to read Fforde). Emidy: I hope you enjoy it! Jeanne, I hope you like it! amcatoir: Aw, what a pity they didn't keep it! 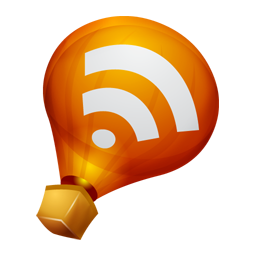 Kim: Thank you; added your link! And those final letters before they found the new pangram just felt SO suffocating! This is one of my all-time faves! It's creative with its use of language, high-concept and a dystopia. That's like the trifecta for me. A friend of mine used to to be good friends with the author's girlfriend (wife?) and has a signed copy. I freaked out when I saw it on her bookshelf. Too bad she still hasn't read it! I've got this one coming to me via paperbackswap, and I'm very excited about it. I can't believe it took me so long to discover it, considering how much I love anything related to linguistics.